In my post explaining the Facebook-Whatsapp deal, I mentioned that the motivation for Facebook was to lose engagement to Whatsapp instead of services like LINE. Last week, LINE made some announcements that truly highlight the scale of this risk to Facebook. These announcements simultaneously attack Facebook on two fronts -- user engagement and monetization. One of LINE's biggest selling points has been the integration of stickers (also a significant source of revenue). Their "Manga" inspired stickers were especially popular in Japan, their home country. While only a few select companies were allowed to create these stickers, LINE has now opened up an International "Creators Market" in order to expand their potential audience. LINE will charge creators 50% of sales, so this should boost revenues as well. Today, people don't even open commercial e-mail. In Japan, there is a statistic that says less than 10% of commercial e-mails were opened. But because the users can so easily subscribe/unsubscribe to LINE official account; more than 50% of messages pushed by LINE official account are opened. 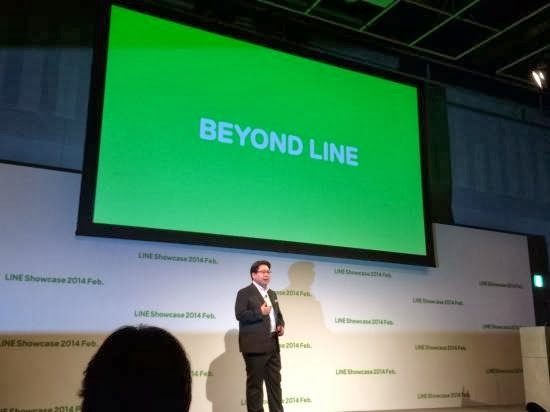 Official Accounts have already helped LINE grab the attention of Facebook advertisers, but the announcement of "LINE Business Connect" could be an even bigger disruption. LINE Business Connect allows brands to integrate their customer and/or employee database with LINE in order to send customized messages to each follower (not possible on Facebook). Combine this with the statistics mentioned in the quote above and you see a picture of a direct threat to Facebook's core advertiser revenues. In order to counter this threat, Facebook has already begun diversifying their revenue streams with app discovery ads (mobile app install/engagement ads). But over the next few years, owning Whatsapp will give Facebook the option to compete directly with LINE's business model -- something it cannot do at present.